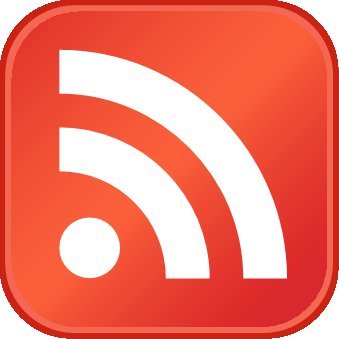 In fact, Bernanke said the continuing high unemployment and low inflation had prompted the Fed's decision to purchase another $600 billion of U.S. government debt (QE2) to further stimulate the economy. So far, the two inflation measures—Consumer Price Index (CPI) and Producer Price Index (PPI)—have not proven him wrong yet, as both indexes have been subdued in recent months. Well, expect this nice peaceful trend to change as early as the December CPI and PPI releases in January 2011. During the past decade, Finished Goods PPI has risen roughly 35% while the CPI was up about 30%, which seems to suggest producers typically pass through most of the cost increases to the end market. Commodity prices jumped to two-year high on expectations for global economic growth and lower U.S. forecasts for agricultural inventories. 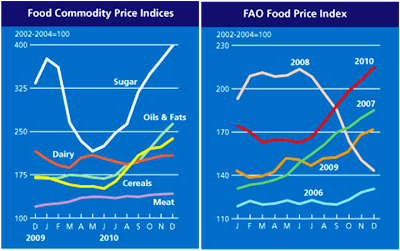 The Food Price Index (See Charts Below) compiled by the U.N. Food and Agriculture Organization (FAO) surged 25% in 2010 and hit an all time high in December, at the level even worse than the food crisis in 2008. FAO acknowledged that this is unlikely the peak yet. 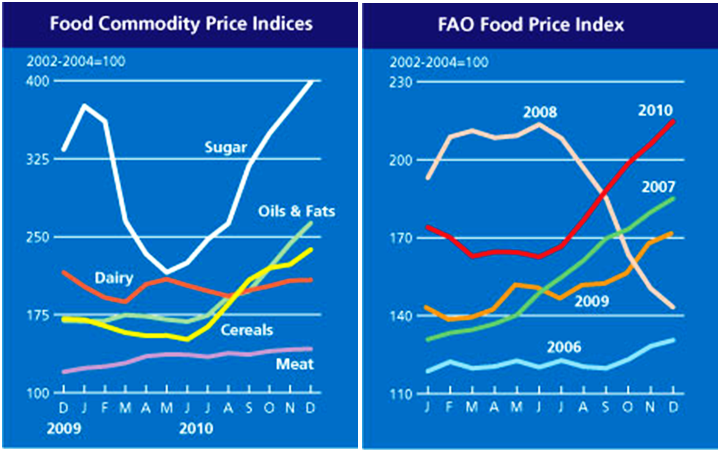 And if you think the 25% spike in food prices seems extreme, wait till you check out the Non-Food Agriculture (NFA) prices. 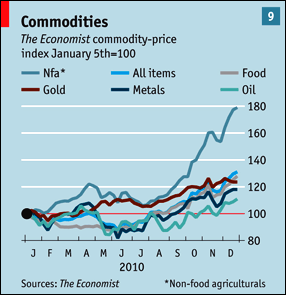 The chart below from The Economist shows that the NFA prices were up almost 80% in 2010! NFAs are agricultural materials with heavy industrial applications such as cotton and rubber. Now, many (including Bernanke) posit that since raw materials now account for a smaller percentage of input costs, the record commodity price inflation will not necessary translate into price increases in end markets. However, I believe that argument was valid in the pre-China era when commodity prices were relatively predictable, easier to hedge, labor costs were low in the developing countries where most of the manufacturing activity took place, and fixed-price and/or fixed-escalation clauses were the norm in contract terms. 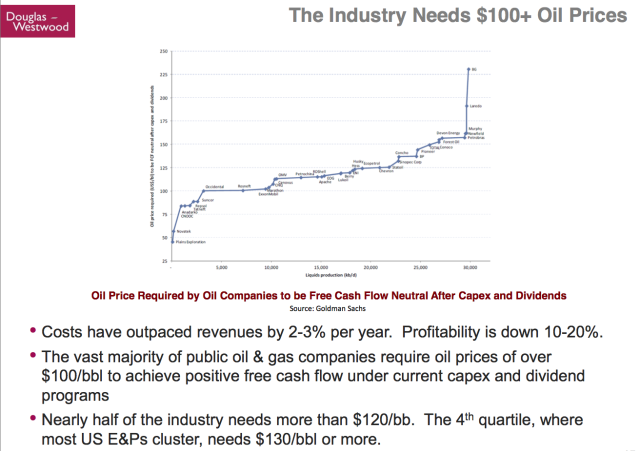 With record surging commodity prices, raw materials are becoming a bigger component of company’s cost structure. Many goods and services producers are now starting to index their supply contracts to input materials to adapt to this New World Order of Commodity. For example, the latest such movement involved rare earth metals, which are key materials in Fluid Cracking Catalysts (FCC) used in the refining process to produce gasoline. WSJ reported that due to the skyrocketing rare earth metals prices, chemical companies have started indexing the cost of their catalysts to rare-earth price movements. WSJ further noted that the added costs from rare earth metals, although not significant to make consumer notice, are enough to make some refiners to think about cutting production. 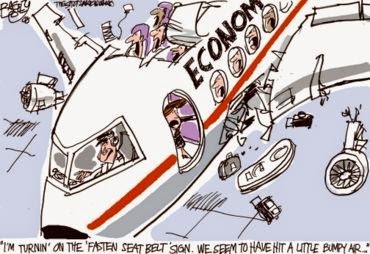 This just illustrates either the cost gets passed through, or there could be production cuts as a result--both translate into higher prices for consumers. .
Basically, Fed’s QE has devalued the dollar while propping up everything from stocks to commodities, but with very little impact on the labor market. This has resulted in two totally disjoint pictures between the corporate profit and the general consumer/labor market. The Standard & Poor’s GSCI Spot Index of 24 commodities has rallied 21% in the past year, and is expected to stay on the uptrend partly on expectations for global economic growth. Meanwhile, the spread between the 10-year note and Treasury Inflation Protected Securities (TIPS) which represents expectations for consumer prices, widened to 2.40%, near an eight-month high. As inflation expectations and commodity prices are rising, corporations could face headwinds when they need to start raising prices, and lose business, due to a still weak consumer market, or face margin and the subsquent stock price pressure. In today’s environment, the best way to hedge inflation is probably to invest--through patience and discipline--in commodities (See here for investment options) and stocks (via a broad index fund such as SPX) on pullbacks. And keep in mind there are two things for certain--inflation will be steadily rising no matter what time frame you are looking at...and prices of commodity and stock will have pullbacks.